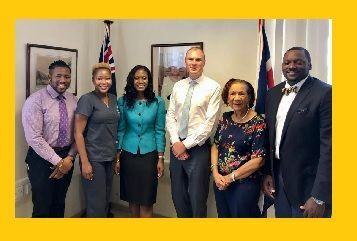 ROAD TOWN, Tortola, VI- The United Kingdom appointed Governor, Augustus J. U. Jaspert will not be in the Territory on the day of the public demonstration, Thursday, May 24, 2018, where residents have come together to fight the Bill by the UK House of Commons to make beneficial owners public. The leader of the peaceful demonstration and the person whose idea it was for a march, Bishop John I. Cline, said at a press conference on May 17, 2018, that Mr Jaspert, who claims to support the Virgin Islands’ position, planned the trip before the protest date was determined. 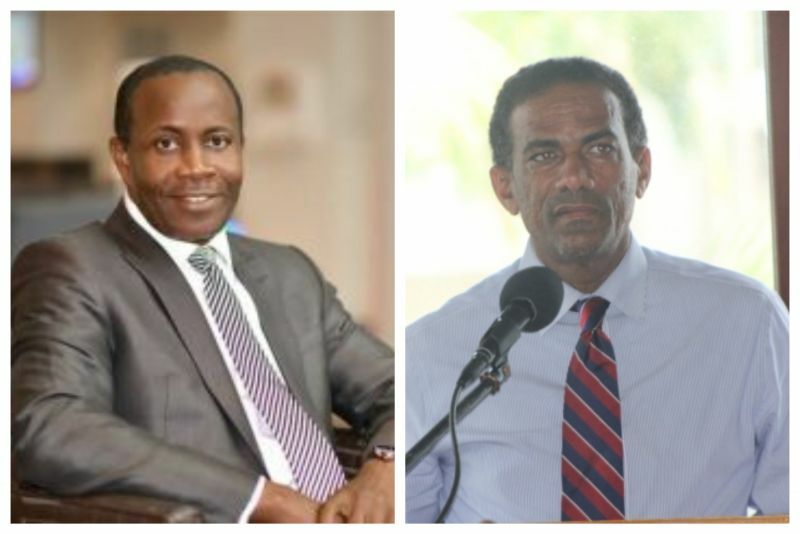 It’s unclear how the man of the cloth and Chairman of the BVI Christian Council knew the Governor’s itinerary. However, the march will go on with or without Governor Jaspert, who told the committee at a meeting he invited them to on Tuesday, May 15, 2018, that he also participated in protests before. It was not immediately known the type of protest or when. The organising committee met with Mr Jaspert, along with Deputy Governor David D. Archer Jr, who will accept the petition from the marchers on May 24, 2018. Coming out of the meeting between the Decision to March Organising Committee and Governor Jaspert, it was reported that civil servants are permitted to march and there will be no repercussions if they do. The public demonstration over the May 1, 2018 vote by the UK Parliament to make beneficial ownership registers public, a move that could kill the Territory’s Financial Services sector, placing thousands in poverty, leading to homelessness and economic distress, will hear from Premier and Minister of Finance Dr The Honourable D. Orlando Smith (AL), Leader of the Opposition Hon Andrew A. Fahie (R1) and Deputy Premier Dr The Honourable Kedrick D. Picking (R7). The organising committee is co-chaired by Attorney, Financial Services expert and author of the Territorial song, Ayana S. Hull, along with businesswoman, former Beauty Queen, and former financial industry veteran practitioner, Zoe J. Walcott-McMillan. The Committee includes national hero, businesswoman and veteran marcher Mrs Pasty C. Lake, who will also be speaking at the May 24, 2018 march, as well as someone from the Financial Services industry. Promoter Kareem-Nelson Hull is also a member of the organising committee. Diplomacy at its best. Words in this arena can never bear weight. What did we expect? Y’ll want the fella to get his marching papers from his employer? He knows the codes and where to draw the line, fully...between us and them. by England for Gods sakes. or someone's sake. Dr the Hon Premier D. Orlando Smith, AL and MoF, and Opposition Leader Andrew A. Fahie, D-1, are currently in the UK working diplomat channels to reverse the HC vote to establish a register of beneficial ownership. But in the same breath the Premier is telegraphing that if things do not go the territory’s way the relationship with the UK may change. IMO the Premier should keep the powder dry until after the HL action. Give diplomacy a chance. The VI ability to reverse the vote is slim and gets even slimmer by simultaneously working behind the scenes and threatening action if it doesn’t get its way. As other bloggers have noted, the HC action was a play to the electorate. Proof: it was an Opposition initiative but government of Theresa May endorsed it. The government should have exercise patience by waiting on the HL vote; the HL has in the past voted against similar legislation. Should government be publicly supporting the March? Government should have let the public organize and go forward with the march. Is not the march communicating the same message that government wanted to communicate? Civil servants are being encourage to join the march. But is a precedent being set. If civil servants one day decide they want march against government on some issue, will government look the other way and want price will they pay in both the short- and long-term? I would encourage civil servants to stay way from the March. Does not civil service fall under the Governor’s Office? The Governor is supposedly supporting the march and government action to protest the bill. The Guv is assigned to the BVI so is he being given some flexibility by FCO to pubicly support the government and march? Is the Guv representing the Crown or the BVI people? Is the Guv action just a mirage? Is it usual for a Guv to partake publicly in local politics? The Guv seem like a decent. Nonetheless, just asking the questions. Who cares if he is here or not? Who cares if we march or not? I care if I have to pay civil servants who are marching when they should be serving our country. The people of the BVI should be marching demanding a new govt not this lame do as they want one. The March is being organised by NDP favourites and is lame. I have no issue with protests but we should be trying to throw out this useless govt who does not give a s**** about the normal person. If they had done their job we would be in this position. Who is holding the elected people of govt accountable?? Well, that’s what we marched for in 1949 and we got it. Four in 1950 and thirteen today. We marched to the polls and elected them didn’t we? That’s democracy. Now we have to wait until we can march to the polls again and change them. That’s democracy. The issue with the UK is a breach of agreement. We don’t have any other option as the people but to demonstrate, do march we must.